Noise isolating is one of the latest innovative features of most headphones today. This is because of the need for solitude either at work, at home or during your early morning jogs and work-out. So the best Noise Cancelling Headphones Under 200 can be your favourite choice. Not only does noise cancelling headphone keep out noise. But it gives you the chance to feel the rhythm of the music you may be listening to, thus allowing you to go with the flow. 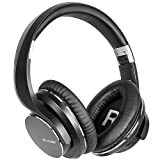 As a music lover or singer, you might need one of the best noise cancelling headphones to score your songs to perfection. Most noise cancelling headphones are built with reduced sound and low frequency. The noise cancellation technology is a blessing for this age, and you get to enjoy the solace it brings. 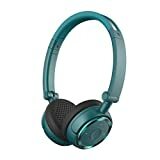 Because we naturally expect that products with a unique feature will cost more, we assure you of one other advantage of noise cancelling headphones, being its affordability. 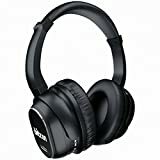 Having critically considered several factors including cost, we have made a compilation of ten of the best noise cancelling headphones under $100 and $200. Now you don’t have any excuse not to get one for yourself. This product is a battery-powered device that works with an active noise reduction technology; one of its unique features. 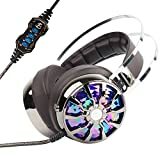 It is one of the best headphones recommended to effectively block out background noise from the surrounding while you get lost in your world of music. Monoprice Hi-Fi is an easy to wear headphone. And comfortable to use while traveling, during work-out and most especially for a better concentration in a loud office environment. Monoprice Hi-Fi is used over the ear. It features 35Db passive and 22Db active ambient noise reduction. One other advantage of owning this device is that you get to make or pick phone calls even with it as it has a 3-button remote cable compatible with your I-phone or I-pad. It also has an internet calling adapter used with some applications on your PC such as Skype. The AAA battery powers the device for up to 50hours. 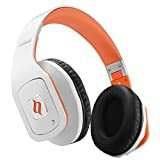 If you are a private person or you really need focus while working, the Monoprice Hi-Fi is a best budget noise cancelling headphone you should try out. Effective Audio Reproduction Even At A Low Volume. No Pain, No Sweat For As Long As It Is Over The Ear. For Active noise cancelling Bluetooth Headphone You may also enjoy to read this Review. 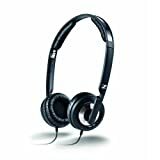 You need to try out this pair of JVC HANC250 headphone. As one of the best noise cancelling headphones, JVC HANC250 is built with an advanced noise cancelling design that gives up to 85% noise reduction, with a feedback technology to monitor the noise cancellation process. Each earpiece has a 40mm neodymium driver which provides an awesome sound quality for a better listening. 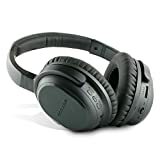 In addition to these, the JVC HANC250 is constructed as a double housing structure aimed to provide a better sound padding and well-cushioned ear pads for a more comfortable over-ear placement for as long as you have the headphones on. One other unique feature you get to enjoy is the active noise cancellation on/off switch. This switch option allows you to speak to others and get back to your solitude almost immediately. 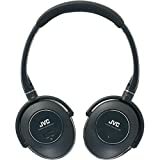 With these features and more, you would have expected a heavy device, but surprisingly, JVC HANC250 is an ultra-lightweight device that can be placed over the ear comfortably for as long as you choose. It is also powered by a 1.5v non-proprietary battery which has the capacity to last for up to 50 hours. This is, in fact, one feature that places it among the best headphones. When not in use, the headphone can be folded into a flattened shape and fit into its slim carrying case for ease and portability. Convenient and comfortable to wear for a long time. Effective sound insulation even when the active noise cancellation is off. Battery placement is quite tricky. It does not have a built in volume control. Enjoy your passion with ease with the Audio Technica ATH-ANC7B. 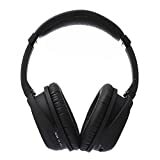 The Quietpoint noise-cancelling headphone is a closed back type that possesses a circuitry that has the capacity to reduce background noise by 90%. The AT is an alkaline (AAA) battery powered device capable of working up to 49hours before replacing the battery. With the headphone, you can get to block out noisy chatters around you in the office or around the home. With the Audio-Technica headphones, you can boast of a high sound quality, well detailed mid-range and a booming bass sound with higher reliability. Furthermore, the device features a pair of comfortable and well padded ear cups that fits easily over the ear. The device has all its features built into it, thus requiring no external connection whatsoever. 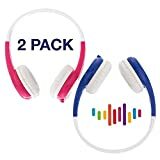 It is a compact device that can be easily folded into a flattened shape for carrying ease and one of the best budget noise cancelling headphones you can afford today. The Audio-Technica is compatible with MP3, DVD, CD and in-flight systems and can also function in a passive mode without battery. It has a handy portable case and comes with a full size ¼ inch adapter and an airline adapter for external connection. Best budget noise cancelling headphone. Can be slightly bulky for tough exercises. Sound leaks could be annoying to people close by. Poorly reproduced sound stage owing to shallow ear cups. Cannot handle high level of background noise especially on trains. Also read: Best Wireless Headphones For Tv. Enjoy unrestricted access to a distraction-free private life for as long as you want with the Plantronics Backbeat PRO. You can easily switch between two worlds at the click of a button with the Backbeat PRO open microphone feature, which let you have a conversation even without removing the headphone. The device also feature an active noise cancelling technology that keeps out surrounding noise while still being aware of what happens around you. 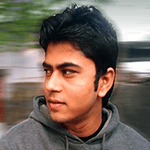 The headphone also supports call answering on all smart devices most especially the Iphone, Ipad and androids. Whats more is that the Backbeat Pro does not sacrifice its sound quality for all these features, as you get enthralled by the high sound quality booming from the device just as soon as it is placed over the ear. The soft padded and cozy ear cups make this more comfortable even for a longer period of time, especially when on flight or in the office. The Backbeat PRO is undeniably one of the best noise cancelling Bluetooth headphones under $200 you can get. Its strong Bluetooth connects two devices up to 330ft (100m) distance range easily without any interference which is way more that what other brands can give. Other features to be enjoyed include its power saving features such as the automatic play/pause and ANC switch which are highly sensitive to when the device slips off your head. Additionally, the Lithium battery powered device can stay 21 days on standby and 6months in deep hibernation mode or out-of-range hibernation which increases the battery life. It is also capable of running 24hours non-stop wireless use. Without much gainsaying, the Backbeat PRO is a device built with highly delivered functions and built-in features you can get for your money. Compatible with all smart devices including androids. Bluetooth connectivity up to 300feet range. Convenient and comfortable to use for a long time. Soft padded and cozy ear cups. Adjustable active noise cancelling technology. 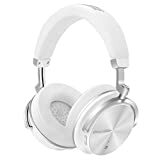 Talk about a high-sensor device, the Parrot Zik is one of the best noise cancelling Bluetooth headphones under $200 you can get today with highly effective sensors such as the head and bone detection sensors. The head sensor enables the automatic pause and play feature of the device when it is placed over the ear or removed while the bone detection sensor notices your words through jaw movement while filtering other background voices. The Parrot Zik has so many other sophisticated features alongside its stylish look that makes you standout in the crowd. 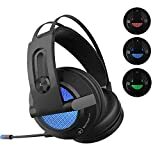 One of these features include the touch panel functions, instead of the conventional button used on most headsets, which allows you to easily switch between different functions with the headphones on. The wireless headphone is built with the capacity to eliminate noise up to 98% with its active noise cancellation technology. In addition, the sound quality of the device is enhanced by the “Parrot concert hall” effect, which makes the sound feel live as though it is played right before you, while you can also choose from the seven equalizer band preset for the best frequency for your song. Parrot Zik is compatible on several iOS devices with a free application. For that you can customize settings as fit for your use. One benefit of this app is that it allows you to monitor your battery level and also to switch on/off the active noise reduction feature while in use. 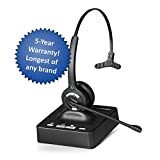 Like other headphones, you can take or make calls with the headset without any interference by tapping the touch panel and also sliding the panel horizontally whenever you need to switch between calls. Active noise control eliminates up to 98% noise from surrounding. Automatic pause and play feature. Easy to operate and responsive touch sensor. Strong digital signal and sensor feature. Comfortable soft padded ear cups. Short battery life span especially when using most of its features. Noise cancelling does not function in passive mode. Poor sound quality when in passive mode. Poorly fitted and easily comes off the head. Now this is a Hi-tech device you wouldn’t want to miss with every features and functions well detailed. This is not surprising though as Sony is well recognized for rolling out only top quality products that meets consumers’ requirements. Sony MDR10RNCIP is one of the 10 series that takes your solitude to another realm indeed. 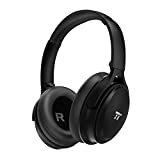 This is one reason why this particular product is top rated and clearly among the best wireless noise cancelling headphones. Sony MDR10RNCIP has dual noise sensors built inside and outside each ear cup which works with a digital noise cancelling engine for a noiseless comfort. Unlike other headphones that work on a conventional noise cancelling technology, the MDR10RNCIP has 3-different noise cancelling modes that operate based on the environment you find yourself whether (office, train or plane). It is made to identify the noise level of your surrounding and remove the noise accordingly. In essence, you get to enjoy your listening solace even on a noisy, creaky train. 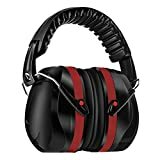 It has a well-balanced and precise noise reproduction with a deep bass response, while the ear cups are made with pain relieving soft padding that leaves you comfortable for as long as you keep it on. 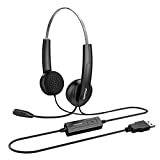 Sony MDR10RNCIP is compatible with Iphone, Ipod and Ipad devices, and it is powered by a single AAA battery to give up to 20hours uninterrupted function for music and calls. The device also has a swivel function for enhanced portability and works well also in its passive mode. 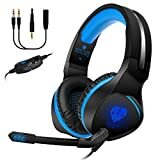 It is definitely one of the best headphones you should get. Very lightweight for superior comfort. Portable with a nice carrying case. Too flimsy and could pass for a toy. Does not remove noise totally. Then the Golzer BANC-50 is your best choice. The headphone is built with the capacity to eliminate noise up to 85% level even as you tk solace in your thoughts and plans. The Golzer BANC-50 is rated among the best wireless Bluetooth headphones today. It is powered by a rechargeable battery. This battery provides up to 30hours lifespan on the noise cancellation mode. And up to 15hours on Bluetooth mode while it can only run 12 hours when the noise cancellation and Bluetooth features are on. The battery gets fully charged within 2-3 hours, which is enough time to get back to your own world. Other features include a built-in Mic and wired mode, 3.5mm audio cable, USB charging cable, ¼ inch adapter and a solid carry case. It is an exceptionally convenient device and of course one of the best noise cancelling headphones under $100. Can be used in a conventional way (wired). Operates on wireless Bluetooth mode. Very safe and convenient to use. There is a lag in Bluetooth connection at times. 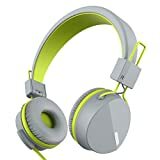 Are you looking to get the best budget noise cancelling headphone? Then Solitude XCS is your answer. Solitude as it name implies features an active noise reduction chipset for the highest degree of noise cancelling you can imagine. Thus giving you the solitude you crave from external disturbances. The headset is built with a pair of perfectly fitting ear cups. So it’s can be easily adjusted to enclose the ears without any sort of discomfort. It is packed with an EVA hard shell carry case with a receiver cable and a 3.5mm cable to connect to external gadgets. Noise cancelling is not entire. 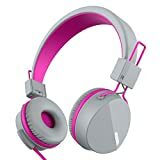 The NoiseHush headphone has a sleek, professional design and offers the best HD sound quality with enhanced bass you need to enjoy your quiet time alone. It features a patented NoiseHush technology which keeps surrounding noise to the barest minimum with the assistance of the active noise reduction system. 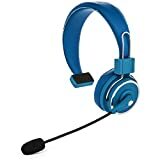 The headphone is compatible with all leading smartphones, androids, Iphones, tablets and PCs with functioning Skype application. 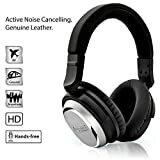 It is one of the best wireless noise cancelling headphones that works effectively even on a low battery. The device has an over-ear memory foam ear cups made with quality leather. These ear cups are pillow soft for maximum comfort. The device is powered by 2 AAA batteries. The 40mm neodymium drivers on each ear cup enhance its sound quality. Offers a good noise cancellation. Battery compartment is usually difficult to open. Cord gets easily pulled out. It tends to be sweaty over the ear. It has an overly tight fit over the ear. Sennheiser PXC 250II is a headphone that works on a built-in Noisegard technology to reduce background chatter or droning. It is an on-ear headphone that offers good balance and quality sound. PXC 250II is designed with a foldable metal headband. It has used soft padding for a comfortable use throughout the time of use. This collapsible design is a more convenient way to take it anywhere with you without an extra weight. The device also features an in-line volume control and an effective noise cancellation of about 80%. It is also compatible with other electronic gadgets and in-flight systems such as Ipod, MP3, Iphones and others. Foldable design for convenient packing. With an increase in the demand and manufacture of headphones today, you might want to be sure of the type of product you are going for especially when you are looking out for the noise cancelling/reduction feature. Headphones are best enjoyed when there is a little or no distraction around you. And having one of the best noise cancelling headphones could be your own way of staying out of the clumsiness and disorders faced every day at work, bus stations and even on air. What exactly do noise cancelling headsets offer? and lastly, as funny as this may sound, the best noise cancelling headphones can help you stay out of gossip and unwholesome discussions (when you don’t hear, you won’t have to contribute). Budget: This of course is a very important factor to consider as it would determine. The type of product or brand to go for. 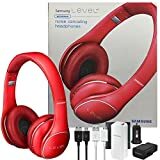 There are cheap and quality headphones as well as expensive ones. It all depends on the extra features you are looking out for. We have compiled a list of the best budget noise cancelling headphones you can buy under $100 and $200. Battery life: this is the most important feature to look out for in a wireless headphone. Most noise cancelling headsets operate on single alkaline batteries; while others need 2 batteries to function. One other thing about the battery is to know whether they are proprietary or non-proprietary. Noise cancellation: This is the very reason why you searched this far for a pair of headphones. Some devices can reduce noise to the barest minimum while some totally block out noise. Although the latter seems cool. It is not usually advisable to totally block out the noise around you. As you need to be aware of the happenings around except you are the highly sensitive type. 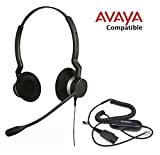 Fit and comfort: You have to put into consideration how long the headphones will stay over your ear in order to select the most comfortable pair. Most headphones have double foam padded ear cups, while some only have a thin single padding. It all depends on the price and quality of the product. The headphone should also stay comfortably over the ear without pressing down the ear or causing pains. Sweat proof: We all have the tendency to sweat. 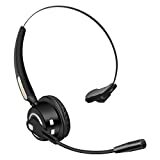 So it is advisable to go for a pair of headsets that protect the device from sweat. Otherwise more likely to absorb the sweat. Though this might need to be cleaned frequently to prevent infections or foul odor. After a careful review of the 10 best noise cancelling headphones we have picked out. 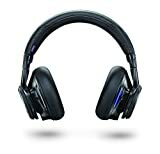 We are of the opinion that a perfect noise cancelling headphone should be able to remove background noise. And should have a long battery life. Selecting the best is based on each customer’s choice. And budget which is why we would like you to go through our buying guide for an understanding of what. To look out in a noise cancelling headphone before spending your money. We also recommend that you read the product reviews written by customers. Who have earlier purchased similar products in order to have a better knowledge of the product you intend to buy.